Fabricio Werdum (Pictured) continued his ascent up the heavyweight totem pole Saturday night by making quick work of Mike Russow. It took the former Strikeforce star all of two minutes and 28 seconds to dispose of the Chicago police officer at UFC 147. The 265-pounders came out headhunting, so it was clear someone was going down. 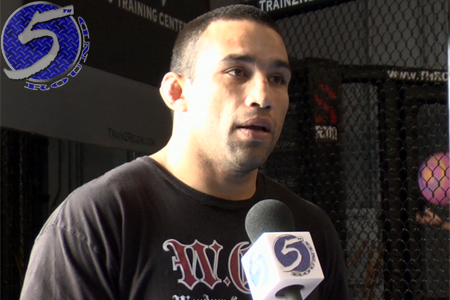 Werdum managed to drop Russow with a right uppercut and immediately pounced. After eating several more punches to the dome on the canvas, referee Herb Dean decided Russow had received enough punishment and pulled Werdum off his battered opponent. Mineirinho Arena in Belo Horizonte, Minas Gerais, Brazil hosted last night’s festivities.